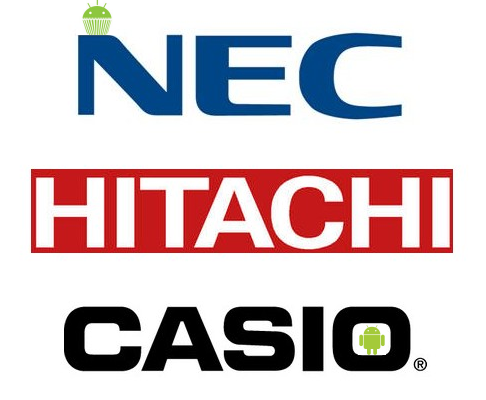 NEC, Casio, And Hitachi, known as NEC Casio Mobile Communications since their merger in 2009, have been pretty quiet about their Android plans so far. However, after seeing Panasonic take the plunge yesterday and announce its plans to enter the Android market in 2011, NEC Casio couldn't hold it anymore and spilled the beans today. According to Keitai Watch, the company plans to begin selling Android devices starting with Japan in 2011, and the rest of the world in 2012. Out of the 12 million projected worldwide device sales, 50% or so would be smartphones, and 40% of them would be outside Japan. We welcome this move, just like we've welcomed Panasonic's desire to do the same - after all, competition is great for Android and will, hopefully, result in even more innovation and ingenuity.